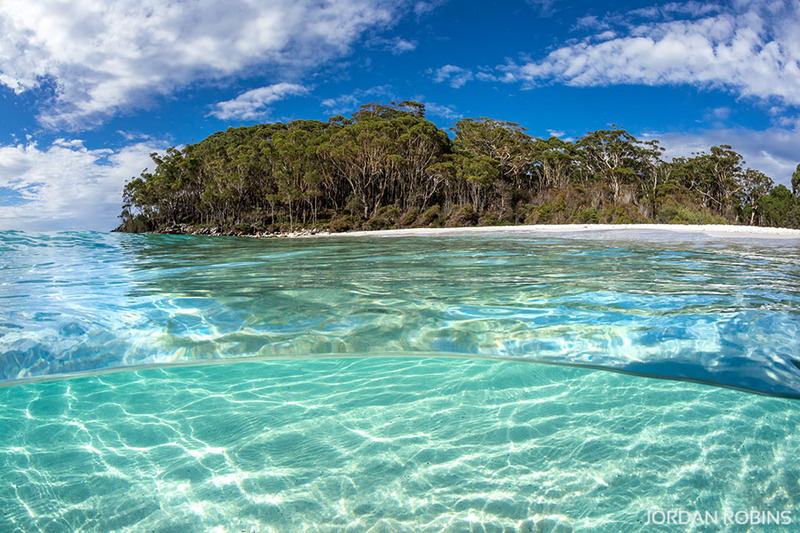 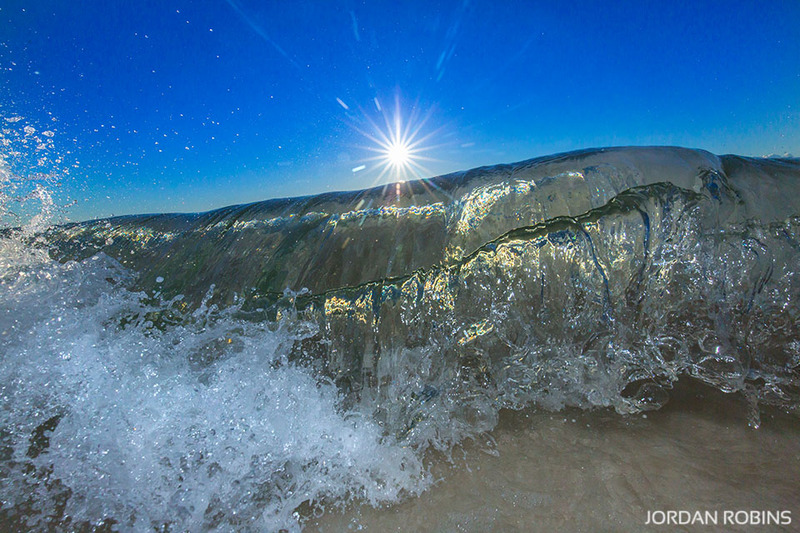 Crystal clear water and bight blue skies at Greenfield Beach – Jervis Bay. 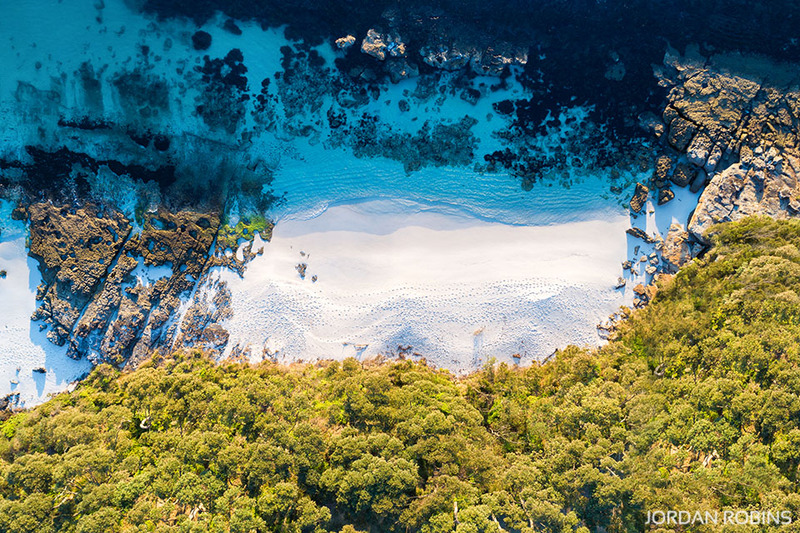 A birds eye view of little Hyams Beach where the sand is bright white and the water is crystal clear. 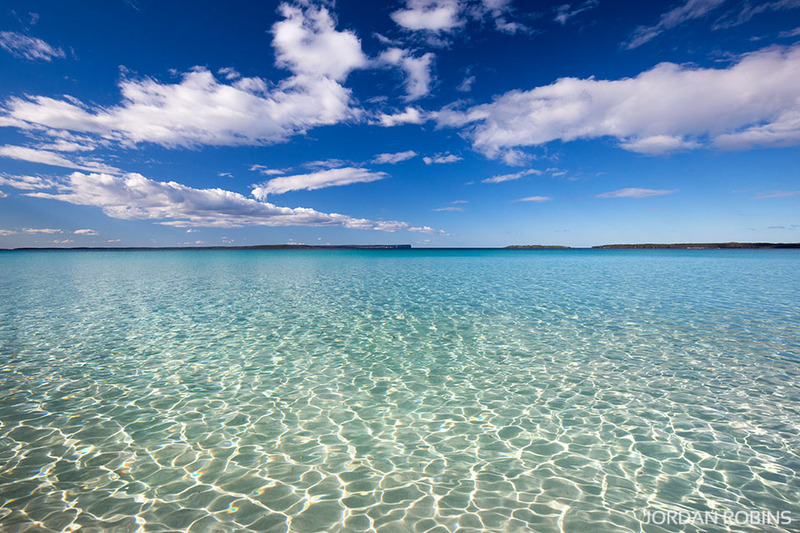 The crystal clear water at Hyams beach looking out towards Point Perpendicular at the entrance of Jervis Bay. 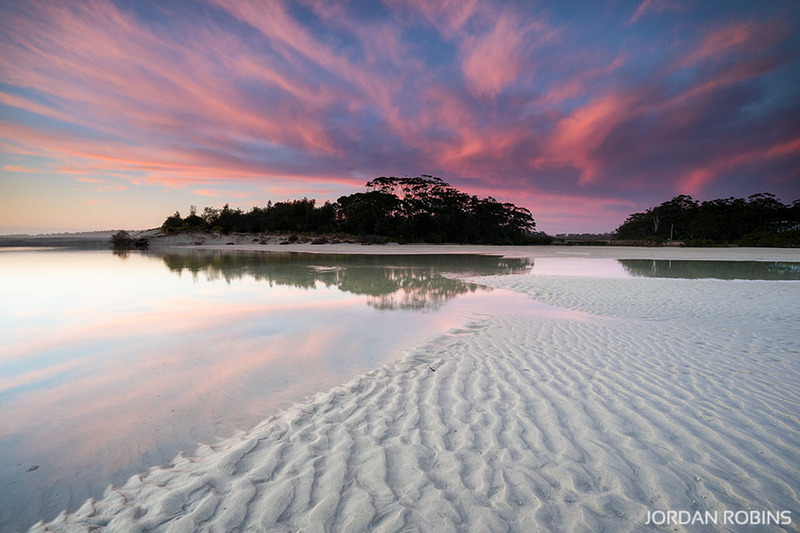 Hyams Beach famous for having the whitest sand in the world! 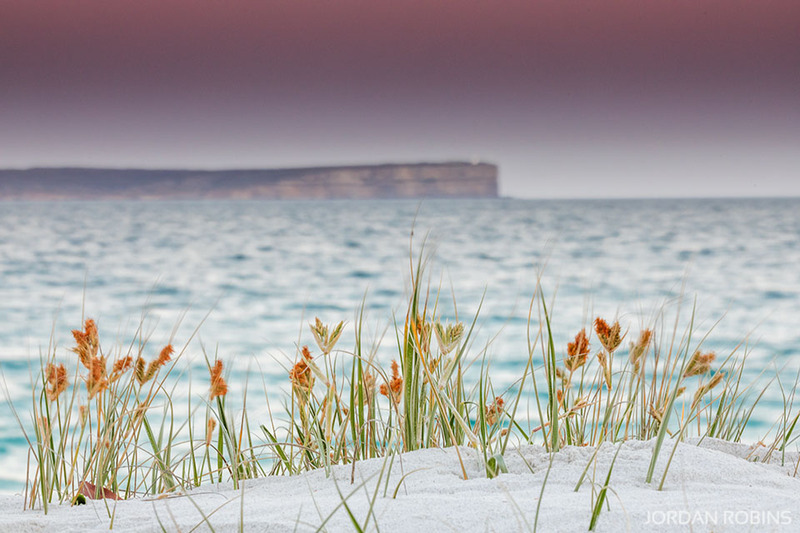 Soft pink hues in the sky on sunset at Hyams Beach, looking out towards Point Perpendicular. 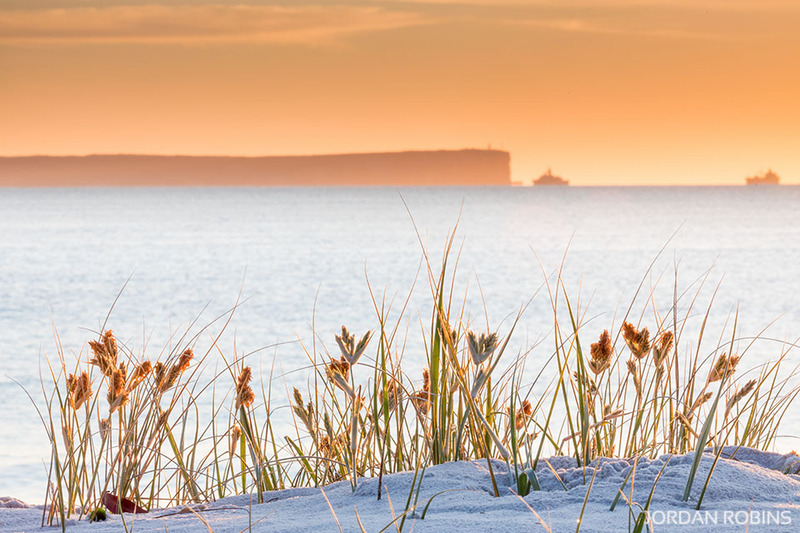 Sunrise at Hyams Beach looking out towards Point Perpendicular as the Navy ships drift on the horizon. 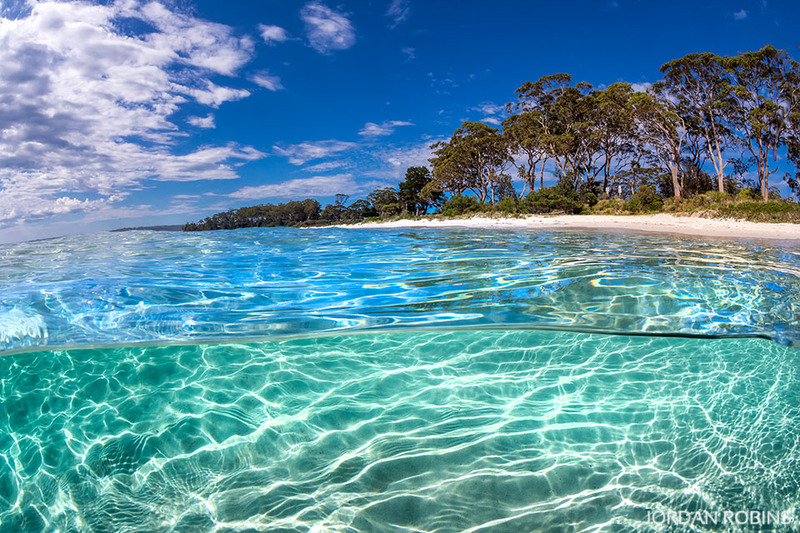 Crystal clear water and blue skies at Huskisson Beach – Jervis Bay. 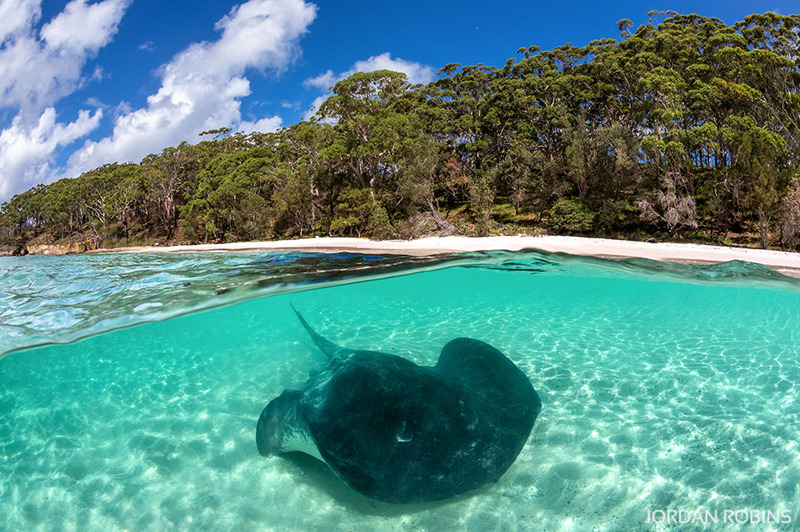 A large Bull Ray patrolling the crystal clear water of Jervis Bay.